The Solicitor General has urged chartered legal executives to apply for judicial appointment in a bid to help make the bench more diverse. At the same time, a Sikh circuit judge told them that those entering the law from a non-traditional background had to have the mindset that they are better than those from a traditional one. Both were speaking at the Chartered Institute of Legal Executives’ (CILEx) annual graduation and admission ceremony for those who have become Fellows or gained practice rights. 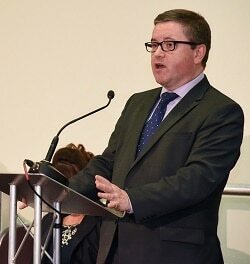 Robert Buckland QC MP – himself a former CILEx lecturer – said “we have still yet to truly unlock the full pool of talent available” to sit as judges. However, he did not address CILEx’s recent call for its members to be eligible for senior judicial appointment. At present, chartered legal executives can not apply for court and tribunal posts higher than district judge. His sentiment was backed by another speaker at the ceremony, Andrea Coomber, the director of JUSTICE, who welcomed the addition of a second woman to the Supreme Court bench. But she added: “Before we get too excited, it means that we now have as many women on the Supreme Court as we do people called Jonathan and Robert. In terms of ethnic diversity, every justice of our highest court is white and they always have been. His Honour Judge Jinder Singh Boora told attendees about his non-traditional route to the bench: “I am the son of Sikh peasant farmers from Punjab, India. I was unable to speak, write or read English until the age of six. My father was a forklift truck driver. My mother was a sowing machinist. “I went to state school where the definition of success was not receiving a criminal conviction by the age of 14. Not only was I the first member of my family to attend university, but the first also to attend college. He was appointed a district judge in 2014 and then a circuit judge last November: “I am still not the polished product. Recently another judge told me he had lambasted a lawyer who had drawn up an order. The judge recounted how during pupillage interviews I would be asked whether he had ever been subjected to racial discrimination. “There was no ‘correct’ answer. If I answered ‘yes’, I would be considered a trouble maker. If I answered ‘no’, I would be deemed to be blind to my racial heritage. He added: “How does one overcome such adversity? By constructing a mindset that you are as good as, if not better, than those from a traditional background.